Welcome to the last weekend of May 2015. It is out-of-school/graduation time for many, hope everyone has a fun and safe time. It’s also the perfect time to visit some arcades if you have any in the area, I recall one year when I got out of school my friends and I spent a whole day at an arcade where Gauntlet Legends had just landed. Good times. Silver Ball Planet Gives Pinball A Presence In Japan – This one flew under my radar when it opened up back at the end of 2013 and it is quite a surprise. Japan has never embraced pinball like other regions where arcades are popular, preferring to stick with pachinko, ‘medal games’ and video games for their entertainment needs. But that didn’t stop a location called Silver Ball Planet from opening in Osaka’s Shinsaibashi shopping mall. Starting out with 36 machines on open, they have done well enough that they are now enjoying a roster of about 100 games. Despite that, they apparently have a ton of space as even with that many games there is ample space between cabinets. Read more about it here at Oshiete.jp or read the original opening review at Pinballnews.com. 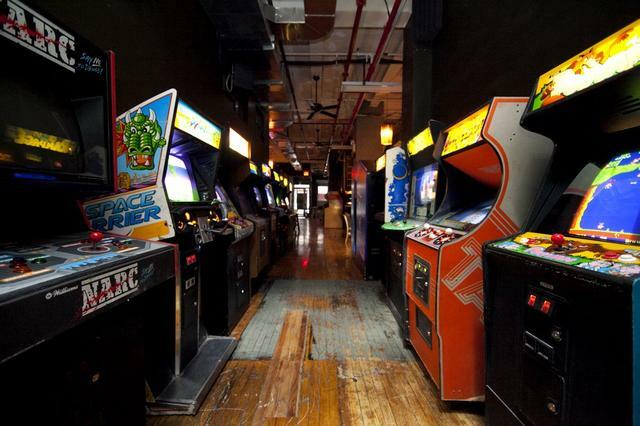 Galloping Ghost Arcade Record – The Galloping Ghost Arcade in Brookfield, IL is huge on setting world records and this afternoon they have set out to attempt a new one – getting the record for the largest number of people playing arcade machines at the same time in one venue. At the time of writing this, no word on whether it has been broken yet or not but if you are in the area, I imagine there is still time to head over and be a part of the attempt. TRON 3 Cancelled – While it wasn’t “officially” announced, there had been talk that the film was in pre-production and would begin shooting this Fall in Vancouver. From what I have read out there, fingers are being pointed at Tomorrowland’s disappointing run or that Disney can’t find a place for it in their already bloated sequel/reboot movie line-up for the next few years. 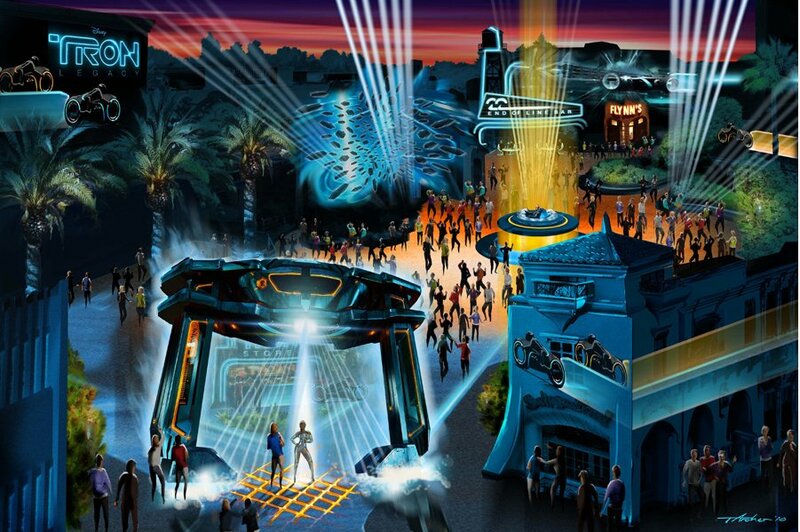 I’m not sure how Tomorrowland should be connected to Tron – it had a bigger budget ($190m vs. Legacy’s $170) and so far TL has only scrapped together $47m at box while Legacy raked in around $400m. So I don’t really buy that explanation. Either way, given what we were hearing about the story, I’m not devastated. Watching a program navigate the real world doesn’t sound like compelling box office, it sounds more like direct-to-Netflix fare. Name That Game #45 Redubbed – We had zero guesses for last week’s Name That Game so instead of me finding some new games, let’s give them another spin but this time with a theme song! Listen and guess! In regards to how the poor box office numbers for Tomorrowland is directly related to TRON 3, basically Disney is saying they won’t take risks on movies that are uncertain. They will only green light what the movie industry calls “tent pole” movies or sure box office winners. With Disney this means that pretty much only Star Wars, Disney Animation/Pixar, Marvel and possibly Pirates of The Carribean movies will be made until they recover from the loss of movies like Tomorrowland. Yes TRON Legacy did make $400m worldwide but don’t forget that isn’t all profit. The film cost $170m-$185m to make and made only $172m in the domestic market (North America). I heard the marketing budget was another $100-$125m. So low production/marketing budget would be $270m and high would be $310m. After you factor in the movie theater’s percentage cut of ticket sales, it’s questionable whether the movie even made money in box office figures alone. From my understanding, movies normally have to make double the production costs in the domestic market alone.